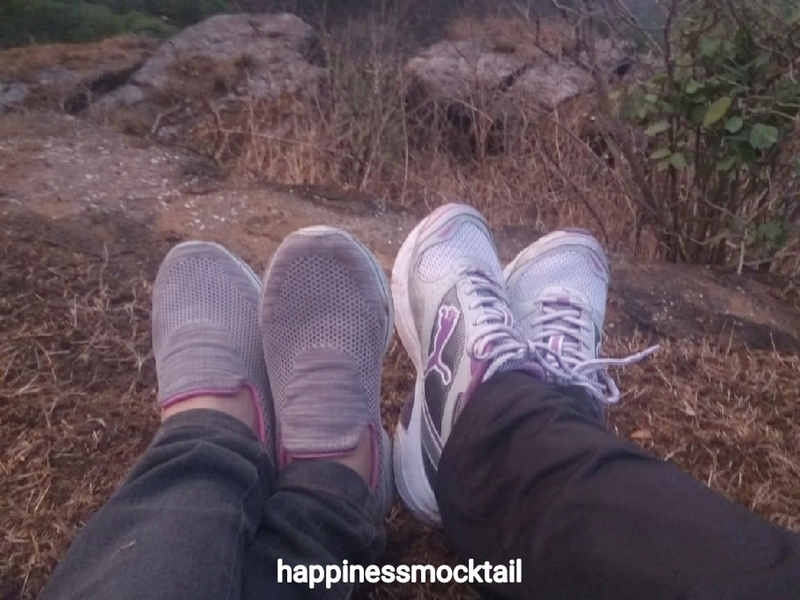 happinessmocktail | Bringing out happiness within. Sometimes we get better than what we wish for. I and Arun planned to take a scooter for me. I already have a car but a scooter would save me from Pune’s congested traffic during busy hours to some extent. After a lot of homework, we decided to buy TVS Jupiter ZX: A flawless mix of beauty and power. We both decided to go for the glossy wine color. Soon after the following couple of days, I went to the TVS dealer’s showroom near my office to book the scooter of choice. The sales lady asked me if I would like to go for a fancy number. I knew that the Regional Transport Office (RTO) conducts auctions for giving a fancy number one wants for the new vehicle. People can choose the vehicle numbers they want but they have to pay an extra amount of money. I thought for a while and decided that I won’t mind going for any other number that the RTO issues for my scooter. Thus, I completed the transaction of booking the scooter and stepped out of the TVS showroom. The next day I received my brand new scooter with a temporary number. For the entire following week, I was busy like anything. I thought about the permanent number occasionally. I was not anxious about it, but I was curious. After all, it was going to be with me for next good number of years. I just wished I should get a good one. In the following week, I received a call from the TVS for informing that the permanent number for my scooter had arrived from the RTO and the dealer would now fix the number-plate with the permanent number on the scooter. I took the scooter to the dealer. I seated at the TVS customer-waiting area browsing through the e-newspaper. No sooner than I waited for ten minutes, the dealer while handing over the key to me told that the scooter was ready. I got the number 7075! What’s more; the first half of the number depicted Arun’s birth year and the other half depicted mine!! How was year 2016 for me? When I think of this question, a lot of recent memories crowd my mind…Year 2016 was full of experiences, zest, fun, and lessons. A year of learning the whole set of new lessons and revising the old ones…I went to places, met people, made new friends, and observed them all. I could overcome my fear of water and swim, learn basic French, and pick up photography as per my last year’s resolution. 🙂 I visited the great Pyramid of Giza, Roman Colosseum, London Bridge, and climbed the Leaning Tower of Pisa. It was so much fun to see a number of jaw-dropping places in Namibia and South Africa with my loved ones. I witnessed a wide variety of flora, fauna, and different colors of the mother earth. I learnt once a person’s soul departs, at no cost the person can come back…In contrast to the volatile life, this is a certainty of death. All you have are the memories of the days shared together. So it’s us to decide what kind of memories we want live with. I learnt that I should not accept someone’s nonsense at first place. If I do then most probably I would have to submit myself to compromise my self-respect on every such nonsense in future. After all, I am responsible to condition others’ behavior too. I used to think that if at all we quantify faith from 0 as no faith to 100 as undoubted faith then all the values between 0 and 99 are same as 0. I used to believe that I have faith only if it was 100%, complete. But according to my experience, faith can also be between 0 and 100. I learnt that honesty and integrity are not something that weak people can handle. People will always take the easy and lazy route to hide their unethical behavior instead of choosing to condition themselves to be ethical, or not getting into unethical behavior at all. I revised an old lesson that a person can change only if he or she wishes and works to change. I also experienced an incredible power of pure thoughts and unsoiled character that anyone can accomplish by behaving in accordance with good virtues consistently. But sadly, a person with such character often continues the journey of growth alone. I revised the lesson of hope. Hope and optimism go hand in hand. Hope had always been by my side even during the bad patches in my life. It is something that never ever broke my faith with it. This year I find myself equipped with little more knowledge I gained from my lessons… 🙂 I am going to release any bad memories accumulated over the past year. I am going to carry on only with the experiences and lessons. While bidding farewell to the ending year, I find myself as anxious as a child, who awaits to open a series of gift boxes… 🙂 I am anxious to uncover what God has planned for me, day by day. I am ready to enter into year 2017 with full hope…to embrace new days, new experiences, and new lessons. When I entered Switzerland its stunning beauty made me remind these lines. Switzerland boasts Alps ranges, a large number of tunnels and bridges, highest dams, and four official languages. It displays a unique range of magnificent landscapes. We all wanted to see the mighty yet beautiful Alps ranges and the scenic beauty of this blessed piece of land hence we visited Switzerland this summer. We planned to travel by the world-famous Bernina Express, the train especially operated for the purpose of site-seeing. We decided to take the route from Tirano to Zurich and excitedly boarded the train. The train was bright red-colored from outside with refreshing cream-white color inside the compartments, which were very comfortable and lavish. A very special and noticeable feature of Bernina Express is its large and clear windows through which the passengers can see the surrounding nature. These windows are extended up to the roof and facilitate the passengers to see every bit of the beauty and find themselves as a part of the nature while being on the wheels. Another stunning feature is the height at which Bernina Express operates effortlessly on narrow-guage. It runs at an adequate speed to let one observe the surroundings. The train operates at the height of 2253 meters above sea level and makes one wonder, how successfully man has created machines and tamed them at his service. As the train steadily kept moving ahead, the breathtaking landscapes started unfolding. It took us through pastures of lush green grass. There were healthy brown cows grazing on the slopes. They were wearing flat-shaped brass bells tied in the embroidered leather belts around their necks. The black-nosed sheep were looking as if there were few white woolen bundles kept on green carpet. Along the green pastures, there were small houses topped with tapered roofs and fenced with wooden bars. Sometimes they were so close to the train that I thought I could extend my hand to touch. They had little entrance gates which were adorned with bells and floral plants. The gardens in front of the houses displayed artistic arrangement of small fountains, animal figurines, and colorful pots. We spotted a little house just near the rail track where figurines of seven smiling dwarfs were kept in the garden. They looked so cute! 🙂 I tried to look for the Snow White’s figurine around but the train moved ahead and that pretty sight of the house was replaced by another beautiful view of chestnut trees. There were churches seen occasionally in the backdrop of the hilly green meadows. The Swedish towns just looked like the ones portrayed in the fairy tales. 🙂 Indeed Europeans have an obsession as well as an eye for a great detail to maintain their gardens neat, clean, and attractive. The train was taking us on bridges, through tunnels, and around orchards. The food service carts arrived full of hamburgers, sandwiches, wines, and other drinks. They also had soft toys for sale, especially the Valais Black-nosed sheep. As we progressed on our journey, we started getting the glimpse of Alps Mountain through the tall pine trees. Soon Bernina took us nearer and we were astonished to see the snow-clad tops of the Alps. It was the most breathtaking moment when we saw Matterhorn, the fifth highest peak in Alps ranges. It is in the shape of a pyramid with four steep triangular faces, each one facing a direction. Though its appearance, height, and expanse were scary, it captivated our eyes. 🙂 I find the view of large natural bodies like mountains and oceans is always spectacular. It limits one’s ego and makes one realize how negligible one’s presence is on this mother Earth! We were so engrossed in watching the beauty around that we could not believe our destination had arrived. While we were on the train, the time seemed to pass so fast! It was an indulging experience to travel through the scenic beauty of Switzerland. Some 120 million years ago, Damaras migrated to Namibia from Northern Africa and settled in Northern areas of Namibia, now known as Damaraland. They were the first inhabitants of Namibia. They knew stars, constellations, and seasons. They knew medicinal usage of plants and they used salt for curing meat. Damaras cultivated tobacco and corn. Being curious about all these, we wanted to visit Damaraland region of Namibia hence we planned a short trip with our friends Jaya and John with their cute daughters Jessica and Jannes. Nishant and they both were very enthusiastic about the trip as they were going to see what they learnt during their History and Geography lessons. Last Thursday, late afternoon we boarded our vehicles and started our journey to Damaraland. After 260km drive northwards we reached Otjiwarongo, a small well-laid out town. We stayed at a Catholic church on the first night. The church tower was standing tall on the backdrop of brightly shining Venus. We had our dinner, chatted endlessly till late night, and went to sleep into our cozy dens. The next day we got up early. It was a bright sunny day. As soon as we finished our breakfast of croissants and hot chocolate, we headed towards Outjo, a yet another small place on the way to Vingerklip. Outjo is a neat and laid-back town of a few thousand residents. Most residents are proudly into cattle farming business. When we entered the town, we came across a famous souvenir shop named Images of Africa. The shop caught our eyes for its well-organized and well-stocked appearance. The wooden and stone articles, and jewelry were displayed so nicely that we couldn’t resist shopping there. 🙂 We bought beautiful table cloth weights. Jaya and John picked a graceful pair of wooden giraffe figurines. Just next to this elegant souvenir shop, there is a famous German bakery that was established in 1947, the independence year of India. It offers a large variety of freshly baked puffs, pastries, pies, cakes, rusks, and cookies. It makes a very good eating joint. We stuffed ourselves with some puffs and pies and then headed towards Vingerklip. From Outjo, we drove another 100km to reach Vingerklip. The word Vingerklip literally means the Finger Rock. From short distance, we saw a tall and thick boulder with the shape of a thick human finger. It stood on the crest of a debris hill. Yes, the debris; that was brought by the then fast-flowing river Ugab. It was the time when the super continent Gondwana broke in to separate continents as we know them today. This division of continents gave rise to sea level, new land structures, and the unavoidable erosion of rocks. Around 20 million years back in the history, the mighty river Ugab brought along debris of eroded limestone, quartzite, marble, and soil with it, which was spread on the river banks. Later due to the climate changes Ugab lost quantity of water it carried and its speed too, which made debris layers on its banks. These layers were around 100m thick. Vingerklip, the 2 million years old boulder, is known to be formed naturally due to the mixture of sedimentary debris that contained gravel, pebbles, and the limestone that bound rest everything together. As we approached near the structure, we could see it clearly. We parked the vehicles at the base and started climbing the debris hill. The more we went near Vingerklip, the more it surprised us about its wonderful balancing position. How stunning it looked! 🙂 It was around 35m tall above the hill. Since millions of years it has been standing there, facing and defeating the strong winds of Namibia. We observed the scenic beauty of mother earth around. It was so serene and quiet up there! We required to proceed to the next place hence we climbed down the debris hill unwillingly. We boarded our vehicles and drove 70km to Namibian Wildlife Resort (NWR), Khorixas. We got fresh and had a brief lunch that we had brought from home. Then we headed towards the famous Petrified Forest. It takes a drive of 45km from Khorixas towards west to reach Petrified Forest. Two Damara farmers discovered this place in 1940. Later in 1950, the government of Namibia declared it as a National Heritage Site. When we arrived there, we found the place had nothing to be mentioned as a forest. There were numerous fallen trees, which are made of rock and not wood. Isn’t it surprising? How was it possible?? It is the process in which an organic material is converted into a fossil. During petrification, the pores and spaces in the original organic material are filled with minerals. The original material is then gradually replaced by the minerals thereby retaining the structure of the original material. We observed petrified tree trunks lying all around, which were partially or completely revealed. We wondered how did petrification happen to these tall trees? Long ago, a mighty flood came in Damaraland, which brought down those trees. The trees kept lying there for years and accumulated the depositions of fine sand and mud on and around them. The layer of sand and mud was so thick that the trees remained deprived of air. There was no other organic matter either, which could help the tree decay. Thus, these trees remained covered under the sand for a few millions of years and faced Silicification, a yet another term in Geology. It is a process in which an organic material is replaced by minerals which flow through the pores of the material and over its surface due to aquatic activities. A wonderful structure where each and every cell of wood is gradually replaced by silica over a few million years! That too, without disturbing the original shape of the tree! The sand that surrounded these trees thickened to form sandstone. We saw numerous plants named Welwitschia Mirabilis, which grow only in Namibia and in some part of Angola where rainfall is minimal. The plants looked like a large flower. It is a wonderful plant that survives on dew drops. Its leaves grow continuously throughout the plant’s life. It is known as the Living Fossil because it can live up to 2000 years. The local people also call it Desert Onion as they cook and eat its thick stem. Rhinos and antelopes eat the leaves of this plant to quench their thirst. There were also some medicinal, fragrant, and extremely poisonous plants around. The guide informed us that the early Bushmen applied the juice of fragrant plants on their skin as a part of beautification. They also dipped the tips of their hunting arrows in the juice of poisonous plants. We drove about 55km from Petrified Forest to reach Twefelfontein, the famous place for Bushmen’s art; especially for the carving of Lion. It was an evening when we reached there and the Sun rays were rightly tilted to enhance the beauty of the carvings. 🙂 The literal meaning of Twefelfontein is Doubtful Springs. The place acquired this name during the time when people suspected water source after having spotted frequent visits of desert elephants in this area. Most areas of Twfelfontein are covered with Sandstone. As we entered the terrain, the reddish-brown mountains looked like the pieces of meat sprinkled with salt. 🙂 When we went nearer, we learnt that the mountains were partially covered by the plants named Ash Bush those flaunted very light grey color. This plant is found nearby water source and attracts animals towards water. There is a long history about Bushmen’s art. Around 8000BC, there lived a wise spiritual person among Bushmen, known as Shaman. He predicted rains, availability of food, fertility of people, possibility of success in game hunt, and nearby water sources. Shaman meditated in caves and was believed to talk to animal spirits. He also knew plants and their accurate usage. Early Bushmen often used to seek Shaman’s guidance during the times of distress or illness. Each group of Bushmen had their own Shaman. Bushmen honored different animal for different purpose. Shaman was strongly believed to get readings about rains from giraffe’s spirit as giraffe could peek his long neck into the clouds and speak to the Rain God. The picture of giraffe depicted communication with Giraffe spirit and the spots on giraffe’s skin showed raindrops. The antelopes were revered to find out water sources. Similarly, the big cats were honored because they were believed to fight the devils. On the night of meditation, Shaman used to dance for hours and guide the Bushmen about what all he saw while being in the trance. This spiritual dance used to go on for hours and took a large amount of efforts that sometimes made his nose bleed. Shaman performed this dance to transfer the illness of a Bushman into him and then release it by sweating himself out. Shamans and his fellow Bushmen carved pictures on the sandstone surfaces. They used sharpened pieces of quartzite stone for marking designs on sandstone. Sandstone provided smoother work surface for carving. In the carvings, concentric circles depict either temporary or permanent water source. Bushmen carved giraffes, elephants, deer, rhinos, hippos, oryxes, leopards, and lions who were inevitable inspiration of their routine life. While following the White Lady trail, we saw a small animal named Rock Dizzy, who looked like a large squirrel. It wears reddish-brown coat that camouflages effortlessly with the surrounding sandstone color. We always saw it resting because of the warm day. It was around 6:00pm of the fag winters and sun was setting down. We stopped at Damara Living museum, a template of Damara village. There were many chalets covered with thatched roofs. The chalets displayed a variety of handmade artifacts. We realized it was late night only after we could separate our own sound of chatting from the sound of somebody chuckling just near the fence where we were cooking and dinning. They were hyenas! 😮 They had arrived there by following the wafting aroma of freshly roasted meat. The children went to sleep and we continued chatting till the pieces of coal left into smoking embers. We soon wrapped up for the next day’s journey. We drove about 110km from Khorixas towards South-West to reach Brandburg. It is a 30km long and 22km wide mountain range in North Namibia. It is famous for its stock of numerous rock paintings. There are around 50,000 rock paintings all over the mountain. The Bushmen used to inhibit in Brandburg nearly 5000 years back. They created these paintings to depict the activities of hunters and wild animals. Dr. Reinhard Maack, a German explorer discovered these paintings in 1917. We arrived at the Daureb Mountain reception office and availed us a guide. She was very knowledgeable and friendly. She accompanied us through the rough trail that went along the bank of Tsisab Gorge. After walking, hopping, and jumping over the boulders for about 5km, we arrived at the well-known White Lady painting. It is created in Maack shelter, which is named after the discoverer of the painting. The painting is done on the inclined surface of overhanging rock. It is a painting of a woman surrounded by a few men, all of them walking leftwards. The woman is painted in white and hence the painting is referred as White Lady. Remaining all figures around her are painted reddish-brown. Some experts say that it is a painting of Shaman dressed like a woman, and the others say it is a woman because in rare some cases, women also followed Shamanism. The Bushmen powdered various stones to make their painting colors. They used Hematite to acquire red pigment, Coal or Manganese for black, Calcium Carbonate for white, and local ochre for yellow color. They used ash of burnt wood for grey pigment. They mixed urine of Rock Dizzy and eggs to prepare the semi-liquid paint. We were amazed to know how the age-old Bushmen were introduced to higher order needs such as interest in art and meditation. How Can I Always be Happy? We tend to lose peace of mind and happiness because all our days are not perfect. There are rough patches in life when the things seldom seem to turn out the way we want them to. At such times, a classic question always occurs in a troubled mind: How can I Always be Happy, irrespective of difficult times in life or annoying people around? Is it really possible to always be happy? When I was a child; I was aware of only present tense. While growing up I experienced and learnt the other two tenses, which are quite capable of taking away one’s peace of mind. Is it not all in vain, if I could not appreciate beauty, warmth, or lesson the present moment has to offer?…Am I going pay attention to a moment in hand only when it is transferred in to the past?…or Am I going to live in future over which I have a very little control…? Now, living in today and indulging in the present moment is fine; but what if my today is not so bright? Can I still be happy? There I am! 🙂 What a perspective she shared with me! I must observe keenly. I must take the notice of small details. I must understand what I can change and what I must just accept. I must see the situations and people beyond their imperfection to be able to find something good in them. Once I realize their goodness, I would be able to deal with them in a better way. In Indian culture, we touch elders’ feet to give them respect. In return they bless saying, खुश रहो! (Hindi) or सुखी रहा! (Marathi). This literally means Be Happy. In the context of what Lord Budhha said, this blessing is not merely a wish; it strongly suggests the recepient to remain happy in every kind of situation. When some of my non-IT acquaintances come to know that I work as a Technical Writer, their question goes like, “What do you write?”. Indeed a good question. I write user manuals, employee orientation manuals, step-by-step procedures of setting up or troubleshooting some system, and the things alike. Their next question follows, “Oh, then don’t you write stories?” All I can say is, may be they didn’t pay attention to the word technical. Since our conversation involved technical writing as well as a reference to creative writing, I try to throw light on these two writing styles. Technical writing and creative writing both are audience oriented writing styles, which require writing talent as well as critical thinking. Yet, how are these two styles are different from each other? Let us know about them one by one. Technical writing is the manner of simplifying and presenting any complex information in such a way that it is understandable and usable by the people who need it. The people for whom this information is presented are called target audience. The objective of Technical writing is to inform the target audience about facts or to instruct them on how to set-up or fix something. It almost always uses formal tone of language. That means a technical writer uses Dear Sir in place of Hi Dude, contact instead of get in touch with, and inform in place of tell. 🙂 It is not just about using formal and precise words. It comes with a set of rules regarding grammar, language, formatting, and presentation. Technical writing can be either online or offline. It refers styling guide, specialized vocabulary, and narrates things quite straight forward. System Reference Manuals, User Manuals, Product Specification Documents, Troubleshooting Guides, Reports, White Papers, Online or Offline Help, and Case Studies are few important examples of the documents prepared by technical writers. Who Uses the Documents Prepared by Technical Writers? A large number of professionals and general users refer to the documents prepared by technical writers. For example, engineers refer design specifications for some mechanical, electrical, or electronic component. Software testing professionals use test plans for code testing. System operators refer to instruction manuals. Marketing professionals use reports for planning their marketing campaigns. Management team of a business refers reports and white papers for major decision-making. Software application users request help on the software which they can induce by pressing F1 key. Last but not least, general audience refers to the user manuals to know how to use or set-up their newly purchased device. What Does it Take to Become a Technical Writer? To become a technical writer one needs to have related education, skills, knowledge of document types and the rules for creating reliable documents. One needs to have flair for writing and a sound understanding of three vital things: subject, objective, and the target audience. It is also required to understand the system thoroughly to be able to provide any information or instructions to its potential users. Command over working language, knowledge of any foreign language(s) other than English, graphics tools, and image processing applications, handling Content Management System (CMS), knowledge of editing a website are some vital requirements to become a proficient technical writer. How is it Like Being a Technical Writer? As a technical writer I develop the documents that go through the Document Development Life Cycle (DDLC), which is similar to any product development life cycle. There is a lot of unorganized information to handle in the form of numbers, technical terms, definitions, procedures, charts, and all factual data. My work involves interacting with Subject Matter Experts (SME) for important inputs regarding the subject. It also includes dealing with graphic designers for images and infographics, or creating them myself. At times I need to handle various types of media such as audio and video. I conduct self-review on my own work, as well as ask my colleagues to conduct a peer-review from the perspective of a new reader or an examiner. Reviewing enables to figure out and remove any loopholes in the written work. Finally, I compile and present the information in such a way that the users can access it quickly. While being in the shoes of a technical writer, I may or may not be working on a technical subject, but I work on a subject technically. Leaving no confusion for the readers. Removing ambiguities and doubts. Removing grammar mistakes, factual errors, or typo errors before the readers reveal them. Presenting accurate information always. Using brief and precise words. Replacing lengthy phrases with single words without losing essence of the subject. Using uniform terminology and style of formatting throughout the document or across multiple inter-related documents. Organizing and connecting the pieces of information seamlessly. Afterall, it should make sense to the target audience. Providing all required information within the predetermined scope. Working professionally to provide high quality content. It is a style of writing about a subject creatively so that the reader or listener indulges in to it. The objective of creative writing is either to entertain or to educate the audience. Creative writing uses prose with informal or casual tone. This style of writing is not governed by any set of strict rules regarding grammar or language. The writer has ample freedom of imagination and narration. Creative writing involves use of artistic phrases, poetic devices, and story writing elements, which themselves are the topics of great length. It is accessed by general audience because people of any age can read books, go through poems, or watch plays and movies with great scripts. Creative writing uses general vocabulary and is descriptive. Unlike technical writing, it can involve use of slang if the situation or culture being portrayed, or characterization demands. Diary, Poems, Plays, Shayari, Stories, Fictions, Autobiographies, Novels, Essays, Comic Strips, and Scripts and Dialogues of movies are some examples of creative writing. What Does it Take to Become a Creative Writer? To become a creative writer, one needs a great deal of observation, knowledge of the subject, and writing talent to put everything together into words. One needs to generate engaging content, which compels readers to attend uninterruptedly. A good grip over language, employing one’s creative abilities and leveraging the power of words to influence and modify emotions of readers, listeners, or viewers are some of the vital qualities a creative writer should possess. A creative writer is capable of portraying a world through either own imagination or experience, and taking the audience on the trip to that world in their minds; sitting at a place. While we were holding back our recurring yawns, I saw a car being parked in front of the shop. Shortly, a family of an old couple and a bright-eyed toddler boy with mischievous and playful expressions got down. He seemed their grandchild. The moment he got down, he posed like a warrior and looked around as if he wanted to get noticed. 😉 I could not hold back my smile. He came to know that I had noticed him and to my surprise he happily reciprocated to me. They all walked in to the shop. While the seniors were busy browsing the menu card, the boy went behind the table where I was sitting. I curiously turned around and in a splash of a second he sat down to hide. I could make out, he wanted to play. I could see his hazel-brown hair but he strongly seemed to believe that he was not visible to me. 😀 Then I pretended as if I was looking for him but somehow being unable to spot him. He duck-walked to the neighboring table and spontaneously revealed himself from there. We exchanged smiles… I turned back again to let him hide. From the corner of my eyes I noticed that he again duck-walked to a different nearby table and waited for me to find him out. I pretended to spot him after multiple attempts and the game went on. Every time he emerged out with a wider smile, his few milk-teeth would shine. Our game of Hide-and-Seek continued secretly for a few rounds to turn his smile into non-stop giggles and bright eyes into the twinkling ones. His grandma noticed that the apple of her eyes was playing with me and smiled silently. My boys were busy talking on the phone and checking our order status. I guess what the seniors had ordered was already ready, so they received their take away order earlier than us. While they took it and headed towards exit, the little fellow joined them. He waved his hand at me; this time jointly with his grandmother. Throughout our game we exchanged only unspoken language and smiles. We did not speak even a single word to each other…It was so unplanned and short, yet so amazing! Today it is Mother’s Day. I understand your fathomless love. I understand your care and selfless sacrifice. I appreciate and try to follow your way. I wonder what a tremendous source of optimism and energy you are! You are not only my mother but also a friend, a philosopher, and a guide. I am so fortunate to have born to you. I just wish to tell you that though we are miles away now; you are always on my mind. This is my first blog post. Just some time back I created the blog and I kept trying to find a good name for this baby. I was desperately searching for a meaningful and crisp blog name only to find out that whatever I thought was ‘The best’ had already been taken. The anxiety of this long-time name search has now dropped down to almost zero as I can feel, I am gradually submitting myself to the Goddess of sleep. Oh, why did I chose the name ‘happinessmocktail’? The answer for this question is going to be from the bottom of my heart, but more on this little later. Yes, for sure. There are a lot of things I wish to find out about customizing the blog and sharing my ideas, opinions, and experiences for which I can’t wait… 🙂 Taking your leave now, see you soon!